Lodestar VS Electric Chain Hoists are available in capacities ranging from 1/8 to 1 ton with a lift of 10 ft. Units are embedded with CM HI-Tech™ Hoist Interface Technology that allows user to adjust speed and performance parameters. 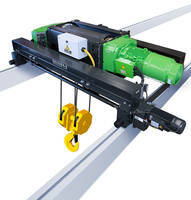 The hoist provides USB connectivity to access the information such as start and stop cycles motor run time and hoist fault information via computers or tablet. 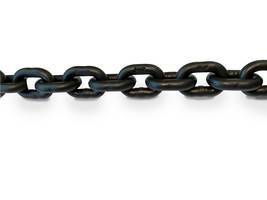 Unit meet H4 standards and features overload and over-speed protection. 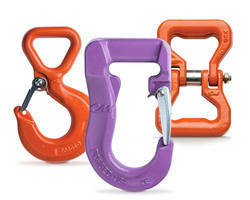 One-of-a-kind hoist puts the power to monitor and adjust hoist performance at your fingertips. 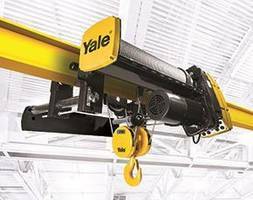 GETZVILLE, N.Y., April 04, 2018 (GLOBE NEWSWIRE) -- Generations of users have relied on the Lodestar electric chain hoist for the durability and reliability it provides for lifting applications. Now, this iconic hoist from Columbus McKinnon Corporation (NASDAQ:CMCO), a leading designer, manufacturer and marketer of material handling products, systems and services, is better than ever, combining the Lodestar’s industry-leading design with the best-in-class features of Magnetek’s premier variable frequency drives. Equipped with the Magnetek IMPULSE® G+ Mini drive, the Lodestar VS features CM HI-Tech™ (Hoist Interface Technology) – one of the easiest to use computer interfaces on the market developed exclusively by Columbus McKinnon. CM HI-Tech gives operators the ability to quickly and easily adjust hoist speed and performance parameters to deliver the precision load control your application demands. 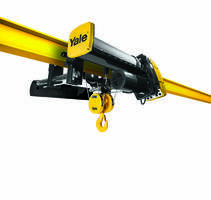 Engineered for best-in-class performance, the Lodestar VS exceeds H4 requirements and features precision load control; long hoist, brake and motor life; overload and over-speed protection; quiet operation; and flexible configurations to meet your application’s needs. It is also easy to service and maintain and features a lifetime warranty. 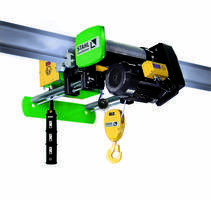 The Lodestar VS is available in capacities ranging from 1/8 to 1 ton with a standard lift of 10 ft. To learn more about the CM Lodestar VS or any of our powered hoists, call Columbus McKinnon Channel Services at 800-888-0985 or visit www.cmworks.com.